Got up at four this morning and started work on another pass for the splash page featuring Paul Andrew Hutton's masterful piece on The Great Western. Two guns: check. Red hair: check. Saber scar on cheek: check. 1850s "gold laced cap of the Second Artillery": check. "Crimson velvet waist"; check. Big, crucifix around her neck: check. 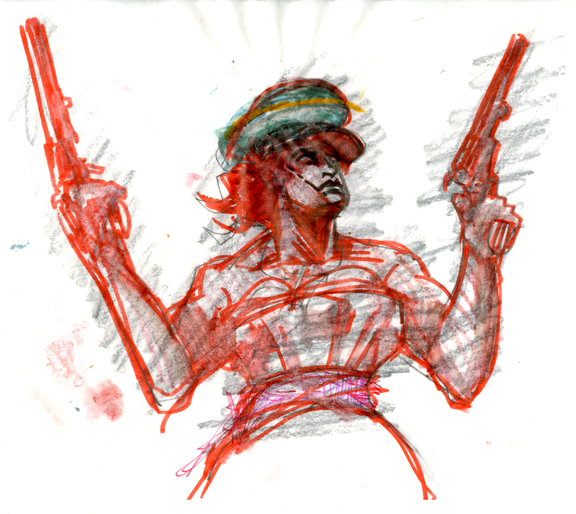 Daily Whip Out Sketch: "The Red-headed, Pistol Packin' Mother of Yuma"
Daily Whip Out Rough: "The Red-headed, Pistol Packin' Mother of Yuma"
This is for the September issue and is going to be featured prominently at the very first Great Western Festival in Yuma, Arizona on October 14. 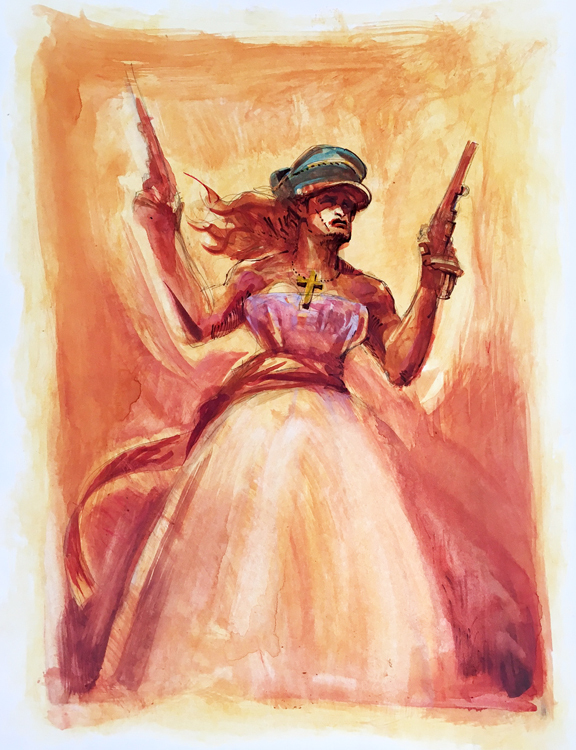 "She packed two six-shooters, and they all said she shore could use 'em."